A nursing degree program prepares people without professional nursing experience for entry into the field. It may lead to licensed practical nursing degree, an Associate Degree in Nursing or a Bachelor's of Science in nursing degree. A nursing program can also enable working nurses to earn a BSN degree through RN-To-BSN program, a Master's or doctorate degree. To become a nurse is a brilliant choice. To get there, you have to pursue a nursing program that prepares you for the career. Nursing is a career where you work to serve many people hence it is essential to have excellent communication skills. There is much competition to gain admission to a nursing school. The requirements to join different colleges vary, but all consider students with brilliant grades. You should have a strong application for you to have any hope of entering a nursing school. First, you should have a high school GED nursing certificate or high school diploma hopefully with some good grades. About 98% of the colleges and universities in the US accept students who have been through these programs. Some schools require students to have a GPA (grade point average) of over 3.0, but some allow 2.5. As you might anticipate, nursing schools in high demand require students to have the highest GPAs score. Like in the case with other college applications, it is important that you look closely at the admission requirements for various schools and prepare your strongest application. If your high school or college grade point is average, you may not qualify to join the elite nursing schools but do not give up. Provided that they are not extremely bad, you will find that still there are perfectly good nursing schools offering quality education for students who were not top of the class and transform them to become one of the best nurses. Nursing schools are not all about academic grades. Test scores and overall academic success are important, but admissions committees will also consider writing ability, recommendations life, and professional experience. If your grades are around 2.5 levels, your application should have other bright spots highlighting your best skills. Apply to schools that are appropriate for your qualifications and career aspirations. A nursing school may conduct an eligibility review session and test. Make sure that you prepare by taking practice tests so that you score highly. Since there are different kinds of nursing programs leading to various degrees you need to choose one fitting your grades, favorite specialty, time frame, and lifestyle. However, you must have an interest in helping others and working with a team of healthcare providers. You must be someone who enjoys science and have good communication skills. Nursing school programs teach you the skills you need to succeed in the rewarding career. Do you admire the way nurses work? What you see is the end product. It takes a lot to mold anyone to a professional nurse. To get to nursing school requires you to work hard and determination to overcome any challenges that come your way. When you succeed in the nursing program, it will transform into a rewarding career. Nursing education is like an adventure and as we know all adventures have some challenges that you did not anticipate. A BSN is for students who look beyond starting their practice beyond an entry-level position. It offers additional education and training including hands-on and clinical training that ADN or diploma programs do not provide. A BSN offers good preparation to work as registered nurse (RN). An Associate’s degree allows you to work as an RN. If you have a BSN, you get more responsibility, supervisory duties, and better salary. A BSN program usually takes 4-5 years for those stepping to university for the first time. It includes liberal art courses that fulfill general education requirements and specific classes for your major. Students who have an RN certification or another degree are eligible for the accelerated program taking about two years. These time frames are for full-time enrollment. These days, students with other commitments study for their BSN part-time, usually online which takes longer completion time depending on the frequency at which they attend the classes. RNs with BSN are in high demand and earn good salaries. Additionally, a BSN makes you eligible for a Master's or a doctorate that in turn qualifies you to be an advanced practice nurse. Working RNs at many hospitals enjoy the benefit of getting a reimbursement of their tuition cost for BSN program. A BSN is a significant achievement if you have long-term plan for you health care career. An RN-to-BSN program hones analytical and clinical reasoning skill. At the end of the program, a student gains a deeper understanding of issues affecting patient care. At the beginning of this program, it was only at a handful schools offering on-campus classes. It was difficult for working students to join the program. Nowadays, many schools have responded to the increasing demand for RN-to-BSN degree by providing the program classes online. They only require minimal on-site clinical practicums. The difference of these nursing schools with others in their dedication and many resources they have put in place for students to receive first-class self-paced education at their convenient location. After going through the program, you will be more comfortable in using the latest technology in the nursing field, for instance, electronic health records. A bridge program also teaches students to work in various settings such as home care or public health. It also prepares students to work in specialty positions such as a school, traveling or legal nurse consultants. An RN-to-BSN leads to consideration for supervisory positions and better salaries. It also qualifies you for a Master's degree program. Have you just realized that nursing is more fulfilling than your current career? It is not too late to join the profession. Second Degree BSN or Accelerated program is the easiest route if you already earned another non-nursing degree. You transfer the credits for other general education courses for you to complete a BSN in a shorter period. This program completeness what BSN students learn in 4 years to between 12 and 18 months full-time study. Three semesters of full-time study are enough to meet all the requirements for BSN degree and be ready for the nursing licensure examination. Most schools offering second degree BSN program requires students to attend on-campus studies as it requires a significant amount of time for them to accomplish the clinical and practical requirements within the accelerated period. The program is a combination of bridge courses and core content. The instruction is quite intense. It is the reason why schools require students to attend full-time without a break between the sessions. Every student receives equal number clinical hours to those studying for their BSN in the traditional settings. Online programs offering accelerated second degree BSN program are fewer. They still require the students to spend a lot of time on campus so as to fulfill the clinical and practical requirements. .
An Associate of Science in Nursing (ADN) program lays more emphasis on the technical skills rather than theory. Most of those applicants intend to use it as a bridge to Bachelor of Science in Nursing (BSN). It is an excellent option for those who have not worked as an LPN/LVN, but you want to start as an RN. It takes around two or three years to complete an ADN program. Many vocational schools and community colleges offer the program. Some schools offer weekend and night courses to accommodate the schedule of students with work and family obligations. It makes more sense for someone intending to become a registered nurse and earn sooner than the 4 years it takes to complete a BSN program. A Master of Science in the nursing program allows nurses to specialize in a particular area of the profession. An MSN offers advanced training and skills necessary for high-quality nursing care in specialized roles such nurse practitioner. When you get an MSN degree, it is a qualification to offer same health care service as the physicians. You provide a vital alternative to the community as doctors are too costly for some patients or have packed schedules making it difficult to consult them within a short notice. The objective of second degree BSN programs is producing graduates ready for professional nursing practice relying on the knowledge of humanities, nursing, social and biological sciences. At the end of their training, they can critically analyze responses to potential and actual health problems so as to provide the appropriate nursing interventions. Second degree BSN program offers a firm foundation for those wishing to pursue a nursing career in advanced practice positions such as nurse practitioner or nurse anesthesia. It also provides valuable education to individuals planning to specialize in research or health care management. A second Degree BSN comes with the benefits of a promising job market and better salaries. It also offers greater flexibility regarding schedule, location and working environment. A Doctorate of Nursing Education Program focuses on developing skills for advanced practice nurse specialists. It is a newer degree than BSN and MSN emphasizing on developing clinical practice-oriented leadership. It is the highest degree in nursing. To acquire a doctorate in nursing, you must have a Bachelor's and a Master's degree in nursing. After successfully completing the program, you become what some people call "doctor nurse." There are two types of for this degree. A Doctor of Nursing Science (DNS, also DSN, a DNSc or a DScN) grounded in theory and research is the first type. It is a common choice for nurses wishing to become researchers or professors at nursing programs. United States Department of Education and National Science Foundation recognize DNS as the equivalent of PhD in nursing. 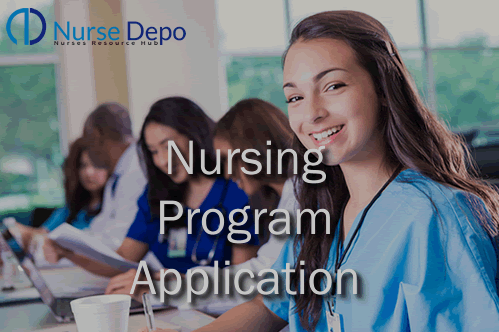 The program is tailored to prepare nursing scholars for efficient development and conducting of scientific research that advances scientific theoretical foundation of nursing practice and healthcare delivery. As the PhD in nursing, DNS program enables students to develop essential skills for the launch of a successful career in research and education. The outcome of a DNS program is turning students to nursing scientists and prepares them for a career in academic and research or other research-intensive environments. The focus is on designing and testing interventions to advance healthcare and nursing. You acquire a DNS after completing and defending an original research project. Doctor of Nursing Practice (DNP) focus is on the clinical side of nursing. 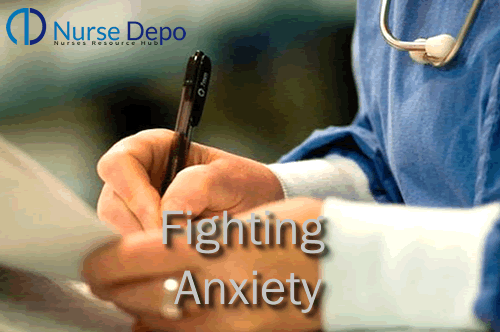 It is a terminal professional degree focusing on the clinical aspect of a disease process. DNP curriculum includes advanced practice, diagnosis and disease treatment. Graduates of DNP program become nurse leaders in the interdisciplinary health care teams working to improve care systems, patient outcome, safety, and quality. Completing a DNP program will take 3-5 years, and once you get your degree, it will propel you further in the nursing career. You must also have experience if several years as a registered nurse and 4 years of advanced practice education. A DNP is a not a requirement for all the superior nursing jobs but has a high capacity to enable your movement into leadership roles on the clinical side. To advance in teaching and research requires a DNS. If your career interest is to work at managerial or executive level, acquiring a DNP will get you there. • New knowledge allowing nurses to improve nursing practice and patient outcome. • Develop advanced nursing skills on how to address complex clinical, leadership and faculty roles. • Advanced academic credential and equality with other senior healthcare professionals including doctors. • More career advancement opportunities. • Authority to offer many services are usually a preserve of licensed medical doctors. • The final project to acquire the degree is a practice application oriented capstone project. When choosing a program, it is important to think about your career goals and choose one that fits your aspirations. It is essential that you think about the practical matters such as the location of the school offering the program and the cost. The cost of a nursing program is not limited to tuition. The cost includes supplies, living arrangements, transport to clinical sites and school. Choose a school that fits your budget so that you do not take the risk of dropping out halfway. Once you narrow down to a few nursing schools, it is better if you tour them and see the facilities first hand. It is advisable to have a chat with an admissions representative and seek clarifications even if you attend your classes online. A bachelor's degree in another subject qualifies you to pursue an entry-level MSN. It takes about 3 years to complete an MSN program. The curriculum for the first year focuses on teaching entry-level nursing course work. In the other two years, students receive combined coursework and advanced master’s training. It includes preparing them for NCLEX-RN (National Council Licensure Examination test). An MSN allows students to hone their knowledge and skills in a particular nursing area. While registered nurses provide general care doing a little bit of everything, advanced practice nurses have deeper knowledge about the specialized area. For instance, if your interest is in natural or women's health, you can choose to specialize in nurse midwifery. If you want to learn more about the business side of nursing or to make a bigger impact in healthcare, it is wise to pursue an MSN. It is a program that teaches you about leadership, policies, finance and management. If this is your interest, consider enrolling for a joint MSN program that teaches about health administration and business. After successful completion o an MSN program, you can join one of the much-needed areas of nursing in a leadership or teaching role. Most of the time an MSN translates to promotions and higher salaries because the knowledge makes you stand out from the rest.